I noticed sineoji ipcam will allow their mobile app to connect from internet without doing any port forwarding on the router. Is this safe ? After I blocked the ipcam to have internet access, the mobile app stop working despite the phone is connected to VPN. Now the mobile app only works if I am connected using the same home WiFi. It is normal, unless you are really a techie, then you can setup port forwarding and assign a dedicated port. Then you need to subscribe a third party ddns such as dydns services..this are not easy for layman. Therefore the Sineoji setup process is a much easier approach for layman where do you not need to subscribe for third party ddns service. Of course if you block the ipcam from internet access, then you will no access to it when you are out from your home wifi network. But if you are within your WiFi home network, you are still able to view. DyDns service is very ex. It seems that Asus router has free ddns? I am a user of the same camera you have, sineoji PT716V, I do have PT713V and PT528V as well. Your information was incorrect, probably you are not familiar with the parameters and settings. You have to play it more often before you get it correct. Let me correct you and guide you through. Motion recording can be recorded in FULL HD but you need to set it to 1st stream and turn off the 24 hours recording option. Besides, the 6fps is baseless as you claimed as that is the frame rate based on live streaming subject to the bandwidth of the network such as your mobile data network. Not the recording. 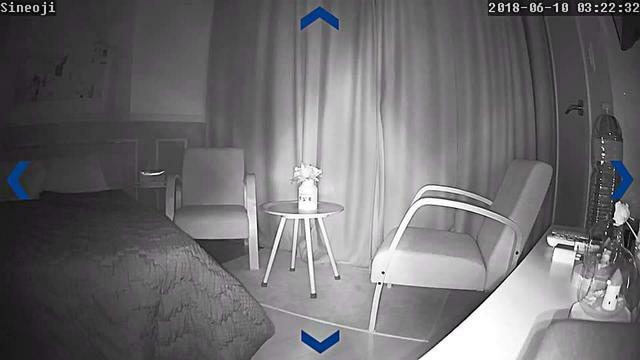 Check out my motion detection recording with the same camera as yours sineoji PT716V, which I requested my brother to tigger the motion alarm in singapore with a recorded clip recorded and screenshot it with the media information. 25 frames per second. Secondly, the reason why it was recording despite there is no motion is because you set to 1. 1 is the most sensitive and 10 is the least sensitive. You have to determine the best value subject to your environment surroundings. Obviously, being the most sensitive at 1 will trigger the recording despite no motion. Besides, it is kind of contradicting that you mention it is recorded despite there is no motion and yet you claimed that only able to capture when object is 80-90% move off..which doesn't happen to me with the same cam I am using. You claimed that settings will revert back to default settings once you click "view HD" on the Sineoji Plus phone apps.. its a bug... It is not a bug, you have need to define in the settings of the camera "the dpi" to 1st stream from 2nd stream. After you done that, go to your sineoji app, select HD mode. This will stay in HD mode even when you exit the app and log in again in the next attempt. But I turn off this feature instead, only when I need to view on HD, then I will tap HD in the app as I want to avoid enormous data usage on my data plan in case I blew it. But of course if you have unlimited data plan, by all means you can turn on that HD permanently. I am currently in California and I verified what you claimed was incorrect by remote accessing my sineoji cam in Singapore, perhaps you are not familiar with the settings. As soon as you get your hands on it, this will work. My favourite app for sineoji cameras is the tinycam Pro. That app is really top notched for professionals. Hi, I'm planning to order PT714V from their promo but I noticed they mentioned that there is night vision. How is the quality for the night vision? Or should I just order the one with LED lights? Planning to put it in my hall. hi guys is sineoji cloud or non cloud? if i prefer non cloud, does it mean i have to get sd card for each camera? You can either use sdcard or Nas storage. how much does the power extension costs? Hi guys happy new year in advance! The cams actually helped and saved my dad's life twice recently as my dad is a stroke survivor who had two seizures in the middle of the night, the clear night vision infrared, capable of zoom in and good speaker/mic features allowed me to alert my helpers and saved my dad twice. The 1080p cams are really very clear and nicely made. I strongly recommend sineoji cams to anyone who wanna setup ip cam at home for monitor kids, elderly, helpers and security purposes. Can the sineoji IP camera view from PC also? Or only on mobile phone only? Sineoji PT714V is going at $89 for challenger member. Good deal ! Got 2 of it yesterday..Full HD 1080p some more !